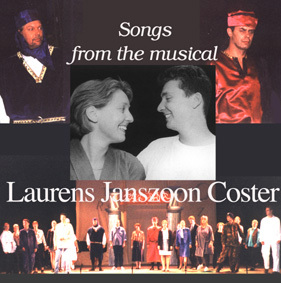 "IN DE VOETSPOREN VAN LAURENS JANSZOON COSTER"
This dutch musical was performed in Hilversum for three nights in the main theater ("schouwburg") in Hilversum in november 1998. 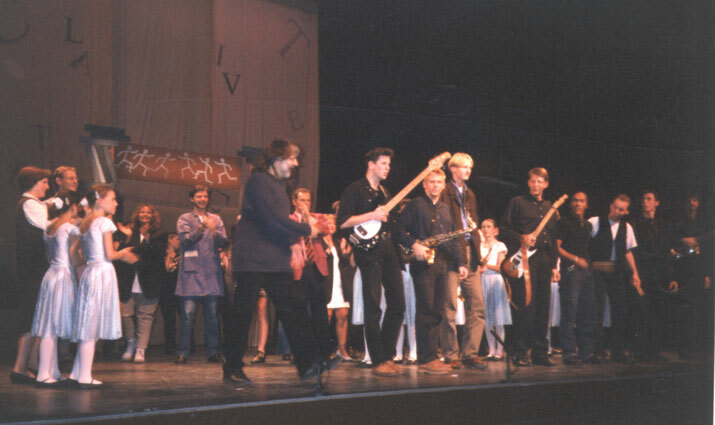 It contained 28 songs which were performed by the actors live with a band directed by Rudy Kronfuss. 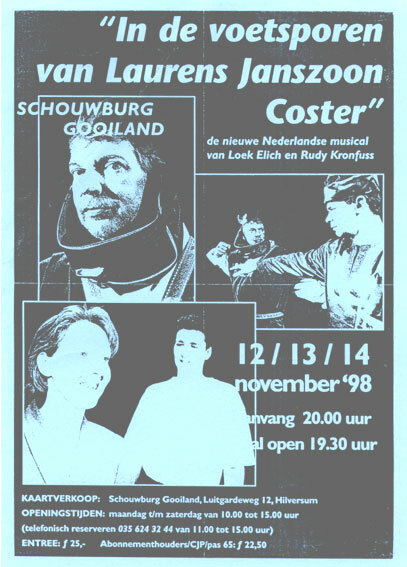 The musical was organized by the music school of Hilversum, that is why one should call it a "low budget production".The players and musicians showed with their idealism once again that much is possible if people work together with enthusiasm.They showed a very high quality performance. It is a story about a very ambitious young man who wants to make history. In a dream he meets his big idols L.J Coster and J.Gutenberg who are still argueing who was the first inventor of printing. Because of this experience his urge for succes softens so love and relationships become more important in his life. above: Johann Gutenberg and his rival Laurens Janszoon Coster, the two historic figures. 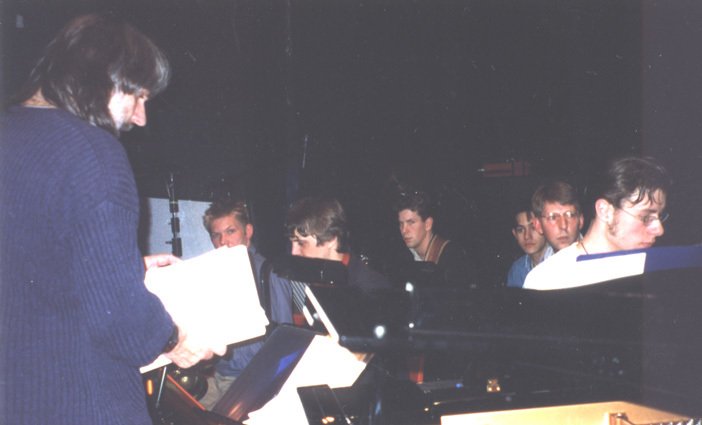 The band during a rehearsal. 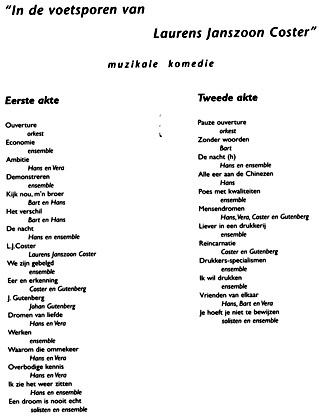 The performances were recorded live on video and audio, but the CD to the left contains only studio material of a couple of songs. 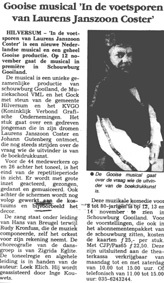 The local papers were monitoring the rehearsals, like this one above at the music school of Hilversum. 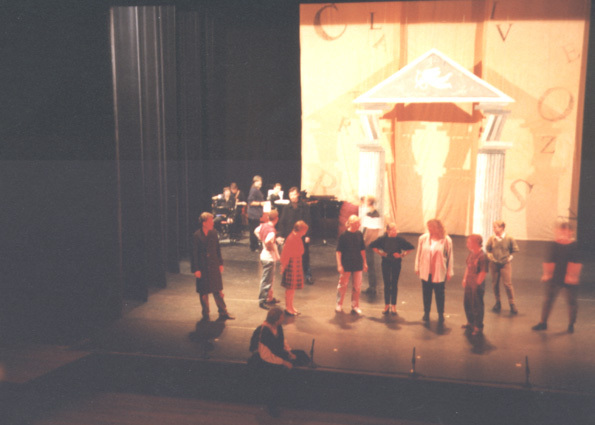 Also a ballet group of the school was involved, which gave the performance a special dreamlike atmosphere. 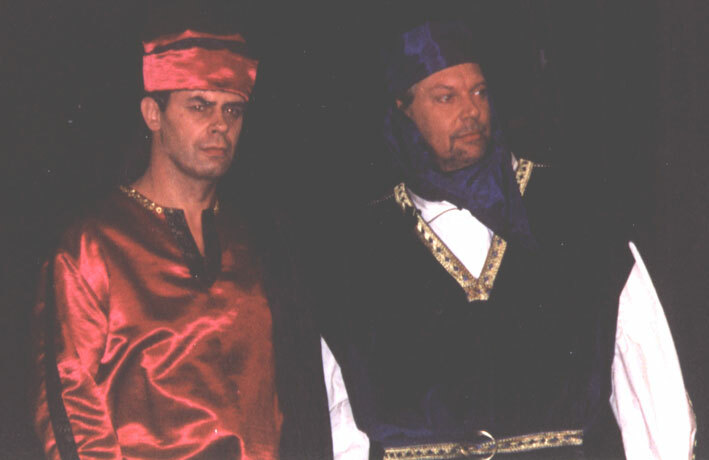 We had a lot of fun and maybe some day a writer will stand up and create an english version of this musical.